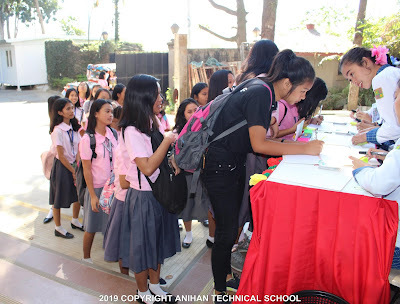 All female grade 10 students and TLE teachers were invited for a one day Open School at Anihan Technical School- FPTI on February 8, 2019. 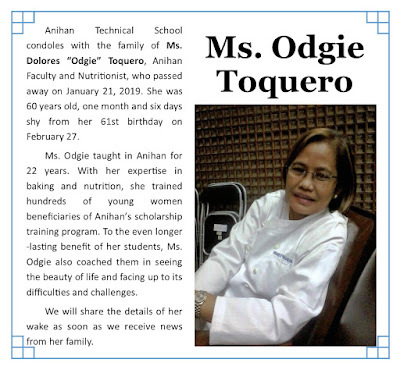 Anihan Technical School prays for the eternal repose of the soul of Ms. Dolores Toquero. The Anihan students and staff, together with the Anihan graduates, mentors, and patrons are united in fondly remembering "Ms. Odgie". 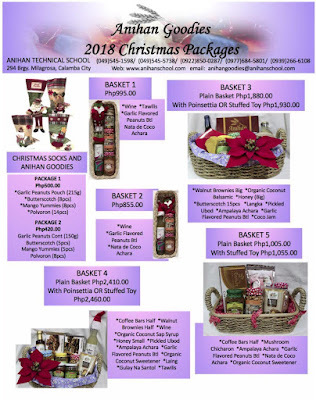 Though we will miss her very much, we are also comforted by the fact that she was lovingly accompanied by family and friends especially in her last days and that she was spiritually prepared and at peace when it was time for her to go. Funeral Mass will be on Saturday, January 26, at 12:00 noon. Anihan Technical School sponsors and collaborators together with FPTI officers cut the ribbons to inaugurate the new Anihan Extension Building on 15 November 2018. Anihan Goodies and Christmas Packages 2018 Order Form is now available. 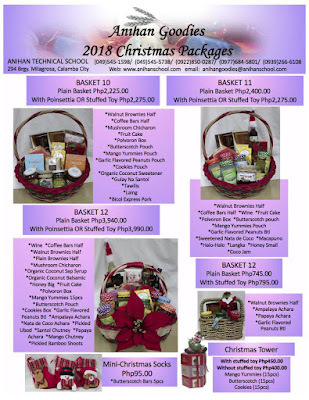 Buy Anihan Goodies for your Christmas gifts and corporate giveaways. 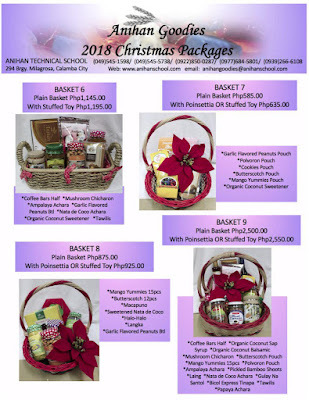 Help us send poor young women to school. Help us help them build a better future. Buy Anihan Goodies for your Christmas gifts and giveaways! 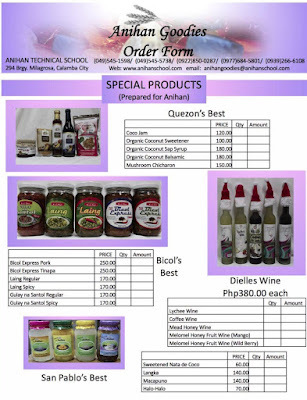 Anihan Goodies Order Form 2018 - Page 1. 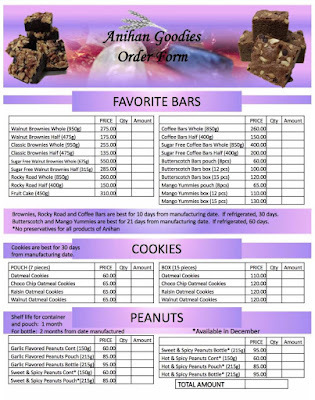 Left click to enlarge image. 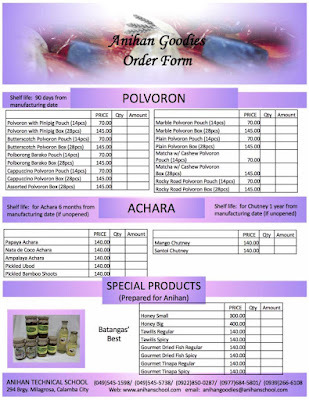 Right click to save image. Anihan Goodies Order Form 2018 - Page 2. Anihan Goodies Order Form 2018 - Page 3.